A boil is an infection that affects a group of hair follicles and its surrounding tissues. Skin abscess, on the other hand, is an accumulation or buildup of pus in or on the skin. Boils are quite common and are often caused by the bacteria Staphylococcus aureus. The severity of damage to the hair follicles makes the infection grow deeper into the hair follicle. In as much as boils could appear on any part of the body, they often appear on the thighs, buttocks, armpit, face, neck, and upper back. Furthermore, people that are diabetic, that have a weakened immune system, that have poor personal hygiene or maintain a poor nutrition are most susceptible to having a boil. The common symptoms of boil include; a bump on the skin, a white center or head (a pustule), pain especially as the boil gets filled with pus, skin redness around the boil, rapid growth of the boil, and oozing or crusting of the boil. Other symptoms include; fever, fatigue, itching before the boil swells, and general ill-feeling. Ensure you wash your hands before and after topically applying a remedy to the boil. Improve your immune system, by eating healthy, in order to minimize the occurrence of boils. Avoid poking a boil as this could exacerbate the boil. Avoid sharing your personal wares, such as your towel and beddings, with someone that has a boil. Endeavor to maintain a good personal hygiene in order to reduce your chances of an infection. Avoid consuming foods that are loaded with sugar as such foods could raise your blood glucose level which could increase your likelihood of developing a boil. The medicinal properties of garlic are widely documented in many cultures. Garlic possesses large amounts of potassium, flavonoids, and other essential nutrients that can alleviate boils. Also, it has antimicrobial properties that help to boost the immune system. Once you’ve confirmed that the skin infection is indeed a boil, crush some garlic cloves to make a fine paste and apply on the affected area. Then, cover with a clean washcloth for 30 minutes. To produce good results, chew a few garlic cloves every day. This immune stimulating herb works as a natural antibiotic. Echinacea also has antimicrobial and antiviral properties which help to heal wounds including boils. 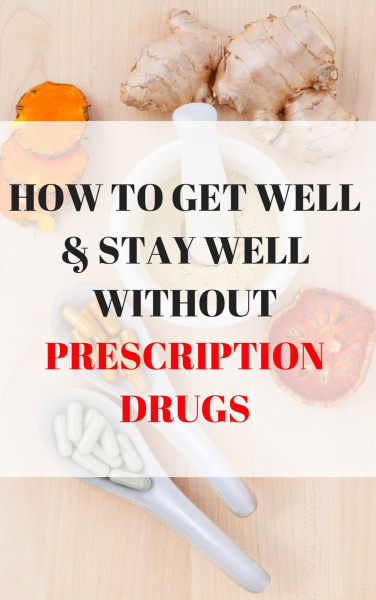 This means it can inhibit Staphylococcus aureus (bacteria responsible for boils). The herb is available in the form of capsules, ointment, tea, extract, and powder. To make the tea, steep the herb in a pot of water for 15-20 minutes, strain and drink 2-3 times a day. A warm compress can ease pain and increase circulation. It would also help the boil to soften and then burst. Simply soak a cotton cloth in warm water (not hot) and place it over the boil for 10-15 minutes. Repeat the process every 3-4 hours. This remedy guarantees treatment of boils within ten days. Make sure you clean your hands thoroughly after touching the boil. Tea tree oil is an alternative treatment for boils in Ayurvedic medicine. Due to its antibacterial properties, it helps to cure many conditions including skin abscess. Clinical trials have confirmed that tea tree oil, which contains terpinen-4-ol, demonstrates strong antibacterial and anti-inflammatory effects. To treat boils, soak a clean cloth in the oil and dab gently on the affected area. It’s crucial that you perform a patch test to rule out the possibility of skin irritation. Since more scientific research is still needed on this oil, you should avoid using it during pregnancy. Black seed oil is a potent cure for most skin conditions including boils. Apart from relieving pain, it would also help to drain out the pus. To make a paste, grind some black seed and apply on the problem area. You could also add one tsp of black seed oil in a cup of hot milk and drink 2-3 times a day. Another way is to apply the oil on the boil and cover with a clean cotton cloth. Onions have numerous active compounds including flavonoids, sulfur, and potassium salts which help to alleviate pain. Secondly, onions exhibit expectorant and anticoagulant properties that prevent re-occurrence of boils. Thirdly, they remove toxins from the boil to improve blood circulation. So, regular use of onions will flatten the boils by clearing the pus, thus, reducing the likelihood of an infection. Simply cut a slice of onion, place it on the boil, and wrap with a clean cloth. This way, the heat on the boil would reach the onion. Repeat the process 1-2 times a day for three days. Turmeric powder is treasured for its ability to kill infection-causing microbes. When taken internally, it can heal boil in 2-3 days. Just put one tsp of turmeric powder in a cup of water/milk and drink three times a day for five days. Alternatively, crush fresh ginger and mix with one teaspoon of turmeric to make a paste. Then, apply it on the boil and cover with a bandage. For best results, use the two methods at the same time. Being potent in antiseptic and antibacterial properties, neem is an effective remedy for a skin abscess. To treat a boil, grind some neem leaves to make a paste and apply on the problem area. You can also steep some leaves in water for 20-30 minutes and use the solution to rinse the affected area up to 3 times a day. This herb effectively helps relieve swelling and pain. Castor oil is rich in ricinoleic acid making it an effective treatment for boils. It helps to drain an abscess and speeds up the healing process. 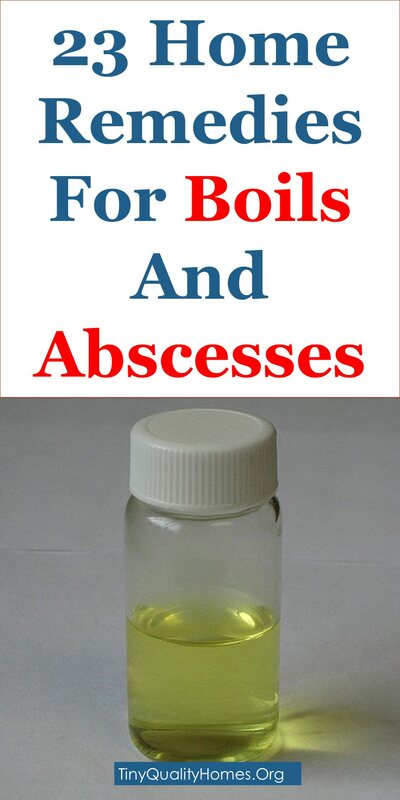 To eliminate the abscesses, put a few drops of castor oil on the boil to absorb the pus from the affected area. Continue re-applying the oil, twice a day, for seven consecutive days. Milk helps in the ripening of boils without allowing them to get septic. What’s more, milk speeds up the curative process and relieves pain. To make an excellent poultice, heat a cup of milk and add crumbled bread. Apply on the affected area 2 times a day for five days. Alternatively, mix one teaspoon of milk with turmeric powder and some vinegar and apply it on the boil. Cumin seeds are widely used in the treatment of numerous skin disorders because of their anti-inflammatory and antibacterial properties. They help to drain out the pus from the boil. Other than that, they reduce the redness, swelling, and inflammation associated with boils. When used regularly, they can prevent the occurrence of boils in future. Grind one tsp of cumin seeds, add some water and apply on the boil once a day. Nutmeg is a non-messy remedy to boils. It inhibits the growth of bacteria and improves blood circulation in the problem area. In addition to that, it reduces the inflammation that comes with boils. Nutmeg powder is quite effective if the abscess or boil is slow to heal, especially when a person suffers from diabetes. Mix half a tsp of nutmeg powder with one cup of water/milk and drink once a day when going to bed. This herb works well as a natural poultice in treating boils. The most important part of this plant is the leaves which help to make the boils soft. To prepare the concoction, boil some parsley leaves until they become soft and juicy. Once the solution cools down, filter it, and place the tender leaves on the boil. While it may sound a little weird, placing raw bacon on the boil will give immediate relief. Ideally, bacon is rich in salt making it an excellent cleanser. Additionally, it works effectively by increasing the flow of moisture to bring the boil to the head. For this remedy, take fresh bacon fat, place it on the boil and wrap with a cloth before going to bed. In the morning, the boil will have come to a head. Marshmallow is an ancient herb that helps to treat abscesses, boils, sores, burns, ulcers, and other bodily injuries. It works by preventing skin degeneration, reducing inflammation, and boosting the immune system. Due to the high sugar content, it’s able to extract the pus cells from an abscess. Just crush some marshmallow leaves, place on the boil and apply a bandage. Unlike other essential oils, eucalyptus oil is effective in eliminating the resistant bacteria that cause boils. Eucalyptus oil drains and disinfects the puss-filled abscesses. Prepare a paste by mixing 2 tsp of elm powder with 2-3 drops of eucalyptus oil and apply on the boil. Repeat 2 times a day until the pus drains out. Epsom salt has numerous health benefits including the ability to dry out the pus from a boil. Plus, it has microbial properties making it an effective treatment for abscesses. Prepare a salt bath by dissolving one cup of Epsom salt in a water bath and soak the affected area. The heat of the warm water will open the boil and draw out the pus. It would also reduce the swelling and pain. A mixture of asafoetida and holy basil leaves can cure a boil fast. Both have strong antibacterial properties. Simply crush a handful of basil leaves, add some asafoetida, apply on the boil and cover with a bandage. Potatoes are rich in magnesium, phosphorus, vitamins, and calcium which help to treat boils. Potatoes are also anti-inflammatory in nature making them effective in alleviating pain and swelling. Just take a fresh potato, squeeze the juice from the pulp, and apply on the boil. To speed up the healing process, use this remedy up to 4 times a day. Egg whites help to drain the pus out of the problem area. If you have a bothersome boil, remove the egg white of a boiled egg, place it on the affected region and cover with a clean cloth. Leave it overnight and you’ll see some positive results in the morning. Cornmeal is a potent remedy due to its ability to effectively absorb fluids. It draws out the pus from the boil allowing it to heal naturally. Furthermore, cornmeal reduces any discomfort that comes with an abscess. Simply, boil some cornmeal in a cup of water to make a paste. Then, apply it on the boil and cover with a bandage. Continue applying the paste 2-3 times a day until the infection drains. Boil an empty jelly jar in a pot of hot water for 30-45 minutes. Then, remove it using a pair of tongs, let it cool for a while, and then use it as suction over the boil. The warm jelly jar would enhance the circulation on the area to draw out the pus. Due to its commonplace and absorbent nature of its ingredients, bread poultice is one of the most popular remedies for treating boils. It works by removing the infection-causing germs from the affected area. At the same time, it increases blood circulation and reduces inflammation. To prepare bread poultice, soak a piece of bread in warm water/warm milk and place it on the boil for 10-20 minutes.